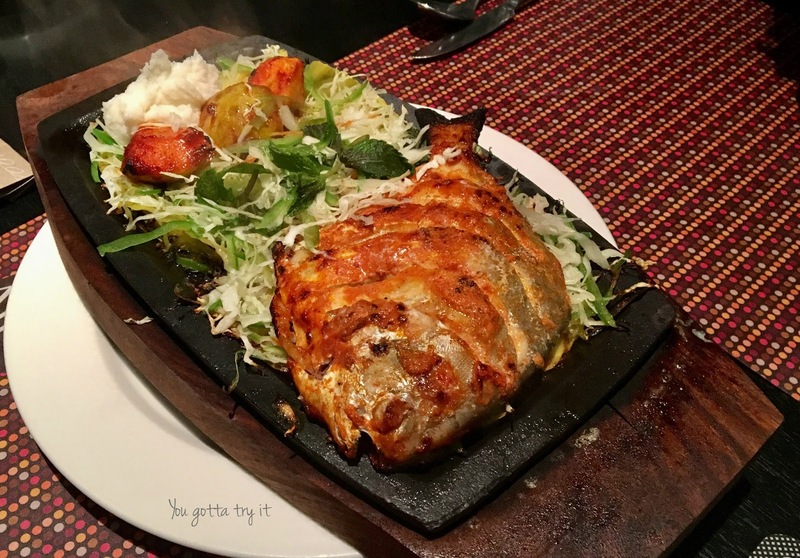 You gotta try it: Check out the ongoing Sizzlers & Beer 2.0 at Equinox Bar & Asia Alive - DoubleTree Suites by Hilton, Bengaluru! Check out the ongoing Sizzlers & Beer 2.0 at Equinox Bar & Asia Alive - DoubleTree Suites by Hilton, Bengaluru! DoubleTree Suites by Hilton, Bangalore is having Sizzlers & Beer Festival for the second time. 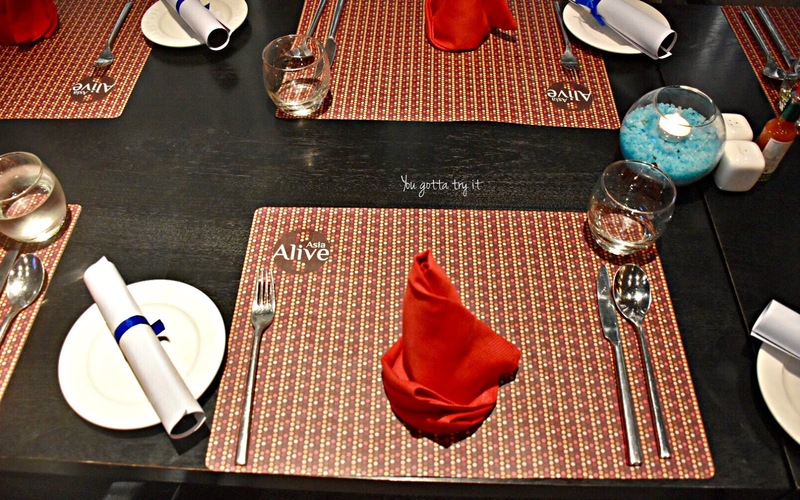 This time the fest is happening at Equinox Bar and Asia Alive restaurant. 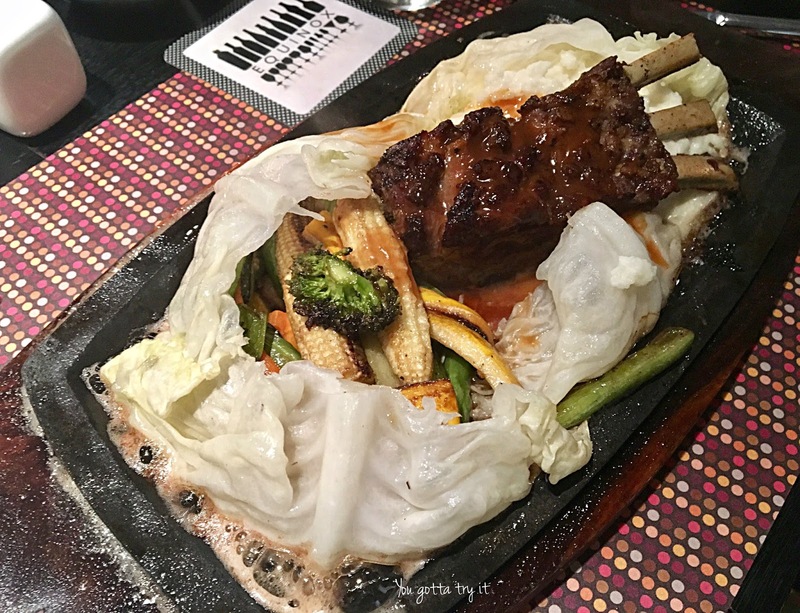 The fest was altogether a new experience for me with various combinations of Sizzlers to choose from the menu. You can select Meat, Chicken, Mixed Grill, Seafood or Vegetarian Sizzlers with the choice of any two sides (like herbed rice, butter garlic mash, or grilled veggies etc), and amazingly tasty sauces like Orange Beurre Blanc, Mango and Habanero Mojo, BBQ, Green Peppercorn, Teriyaki, Red Wine Jus, Herb Lemon Butter and Chimichurri etc. You can also go for some extras like Butter Garlic toast, Crispy bacon, Sausages, and fried eggs (charges apply). At DoubleTree Suites by Hilton, they welcome guests by giving a warm cookie. This is followed in all Hilton Hotels across the world. This cookie is good enough to make you forget everything around you for some time with its ‘soft outside and gooey inside’ goodness. 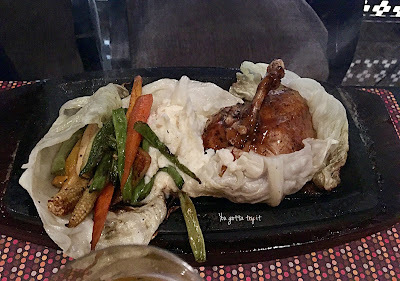 A couple of us were invited to try the ongoing sizzlers fest menu on a rainy evening. Rain and smoking hot food go hand in hand. For me, Sizzlers had always been either Chicken or Beef. I never experimented with flavors or combos. This time I made my mind and after checking the elaborate menu, ordered a ‘Grilled Shrimp Skewers Sizzlers’ with Green Peppercorn sauce, hand cut chips, Butter Garlic mash and Mango Habanero Mojo as extra sauce. The oozing flavors of Green Peppercorn sauce from Grilled Shrimps was an exquisite choice for me. I think Chef read my mind seeking for a spicy sauce and Mango Habanero Mojo was a right choice. The portion sizes were good and filling. My drink for that evening went well with theme – Beer. A glass of chilled Bira (White) with a tongue-burning sizzler is what you need for Bangalore weather. We were a small group and everyone had different meat/poultry/seafood preferences. So we almost got to taste many sizzlers from the menu. Other than ‘Grilled Shrimp Skewers’ Sizzlers I loved a small portion of Tenderloin Sizzler with mashed potato, sautéed veggies, and potato wedges. I couldn’t try the Double Jack (Chicken Sizzler with Jack Daniel flambé and red wine sauce) and Tandoori Pomfret Sizzler which came as a visual treat. A portion of ‘New Zealand Lamb Chops’ and ‘Norwegian Salmon Sizzlers’ was simply superb. I have seen many times that often vegetarians get disappointed with mostly one option left in restaurants i.e., Cottage Cheese (Paneer). At Hilton, chances are less as they have multiple options like Exotic Vegetable patty sizzler, Tofu, Shiitake Mushroom, Broccoli and Baby corn Sizzler, Grilled Cottage Cheese steaks for Vegetarian foodies. Dining at Equinox is a classy affair. Loved their Bar counter and well decked long table. The staffs at Equinox were very polite and attentive. Overall, I had a great time at the Sizzlers & Beer 2.0 and no matter which ever region you come from, the piping hot steaks and sizzlers are always the best bet. This festival is on till 31st Aug 2017 and available only for dinner, so don’t miss it!